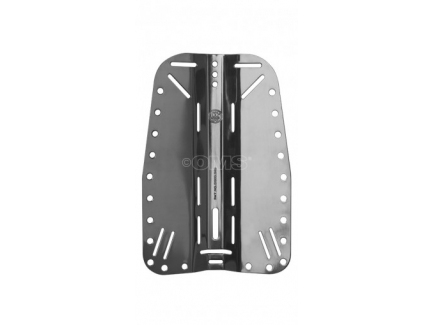 Backplate OMS Otel (Stailness Steel). Heavy duty and designed to work with single tanks or doubles. 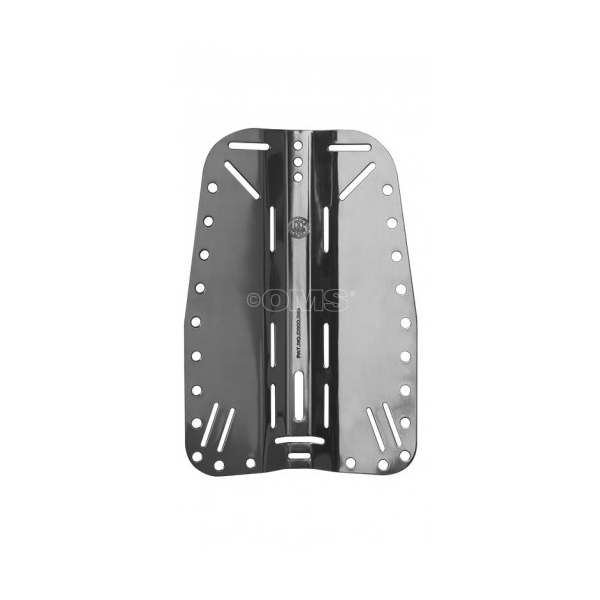 Our Stainless steel plates will be the last plate you every buy. We stopped at no expense on this plate. We have added multiple mounting holes, waist band holes and accessory holes to maximize comfort and flexibility. All edges have been rounded over and polished so you will never have to worry about wear from the plate.